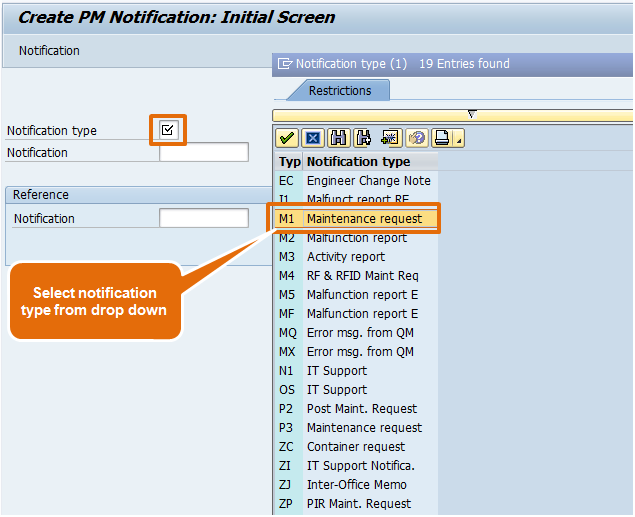 This is a beginner’s guide to learn maintenance notification in SAP PM Module. Notification is very important element of PM module, therefore read this article carefully and give your comments. Maintenance notification processing is asked very frequently in interviews. 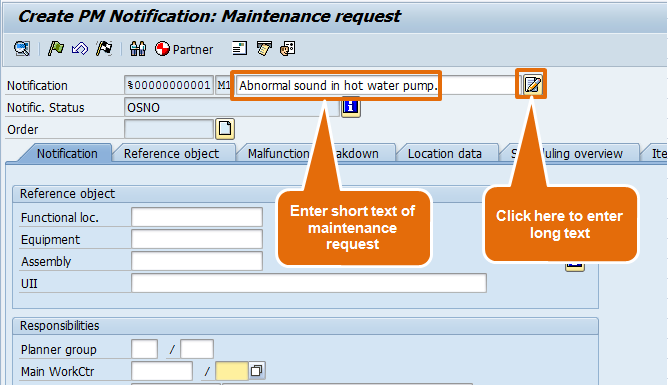 Maintenance Notification is used to notify maintenance department about an abnormal or exceptional situation in technical objects in plant area. It is a non-financial transaction which is used as a medium of communication between operations department and maintenance department. It is also used to record maintenance activities and history. 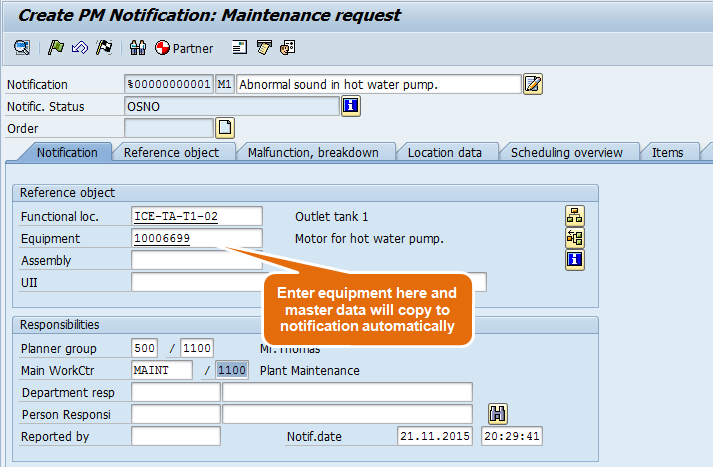 Operation in charge or maintenance in charge can create a maintenance notification. Let us discuss the business process in brief. Step 1: In the plant area if a technical object is not performing well and showing some abnormality in operation, then production in charge informs the maintenance department to take necessary action. They will inform the maintenance department through SAP in a systematic manner. It could be possible that a maintenance engineer observes an exception situation with a technical object and wants to take some action to resolve the issue. 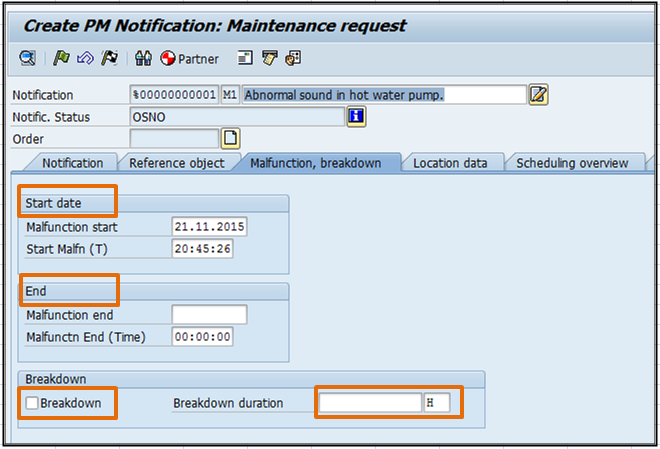 Then maintenance engineer can also create the notification in SAP. Step 2: Once the maintenance department come to know about the abnormal situation in plant area they will go to the field to understand the abnormality and collect more information. Step 3: Then maintenance department take necessary action to resolve the issue. They will take action according to priority of maintenance job and criticality of technical object. 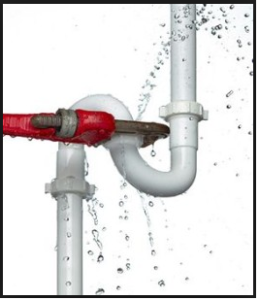 Step 4: Suppose it is a minor leakage in a pipe, greasing of motor or a tube light is flickering or some other maintenance department needs some help such as electrical supply, mechanical isolation etc. In such a situation the responsible maintenance department will do the maintenance activity. Respective maintenance department will assign a technician to do the maintenance tasks and inform the production department once the maintenance task is over. Step 5: Then production in charge will check the technical system and its performance. If production in charge is satisfied with the maintenance job then he will accept the maintenance job. Step 6: Afterwards the maintenance engineer will update the maintenance history of that technical object and activities performed such as greasing done, welding done, flange tightening done, electrical isolation done etc. Step 7: Finally inform the operations department. Operation department accepts the job. I hope that business process very simple to understand. Now we will learn how to map this process in SAP. 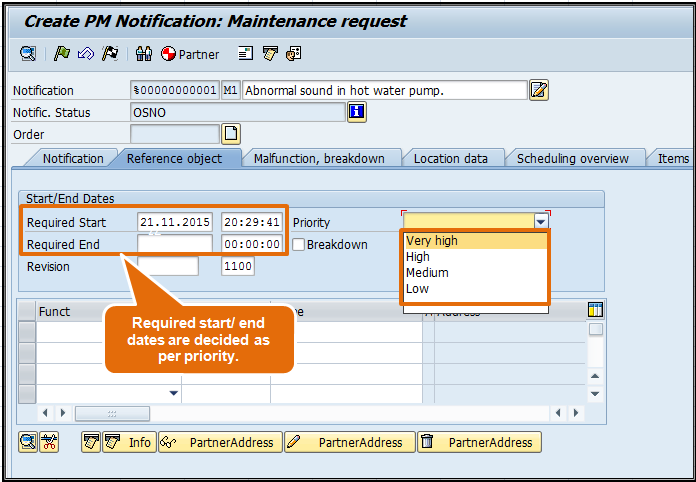 Here is the Step by Step basic guide to learn maintenance notification processing in SAP PM. Step 1: Enter t code IW21 or click on the node as shown in below screen shot. Step 2: This will open the initial screen of maintenance notification, where you can select the notification type. 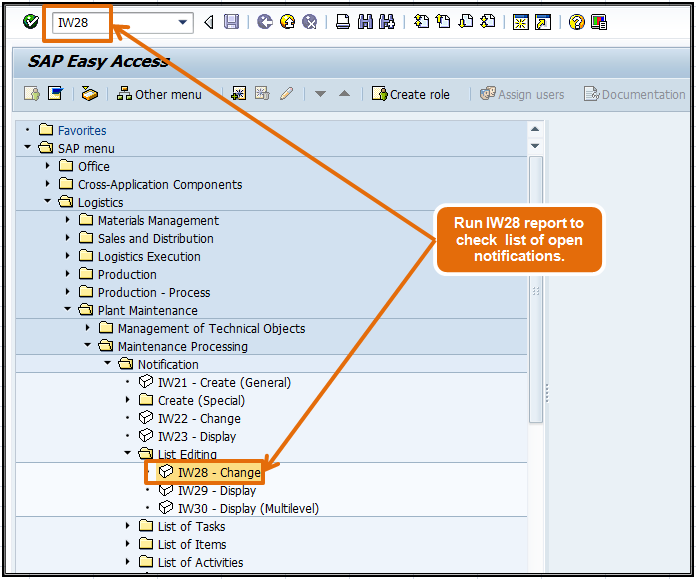 Standard SAP provides three types of notifications M1, M2 and M3. You can choose any of the notification type as per the business process. In General we use M1 for Corrective maintenance, M2 for breakdown maintenance and M3 for Predictive maintenance. Once you have selected notification type press enter button or else click on the tick mark button at the left hand side upper corner (as shown in the screen shot). Step 3: Now you will get the main screen of maintenance notification. Here, you can enter description of maintenance request. You can enter maximum 40 characters. If you want to enter more information then you will have to click on the white sheet. This sheet will open a new MS word screen, where you can enter long text of maintenance request. Please see the screen shot for more information. Step 4: On the notification main screen there are few tabs such as Notification, malfunction breakdown, Location data, Scheduling overview, items, tasks and activity. Step 5: First we will go to Notification Tab. Here we can enter the technical object id (equipment and/or functional location) which requires maintenance to be performed. 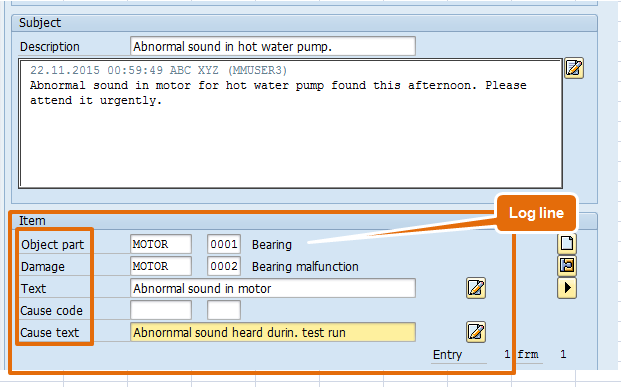 You can select the technical object from the drop down facility (as shown in screen shot). Once the technical object, say Equipment is entered in the notification. All the master data from equipment master will be copied to the notification. This data includes the functional location, main work center, cost center, maintenance plant, planner group, planning plant, ABC indicator, asset number, business area etc. This is the benefit of maintaining master data. Now you are not required to enter the equipment related data again in notification. All the data automatically copied from master data. If you want to change the copied data in maintenance notification then you can do it. 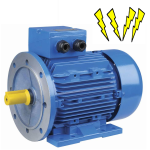 Purpose of maintaining the equipment in notification is to declare that this specific equipment has some abnormality in plant area and maintenance department will record the maintenance history with respect to this technical object. 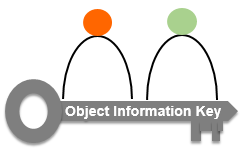 Step 6: Depending upon the configuration settings an object information box can pop-up after entering technical object. The object information box is basically a brief history card (special information window) of that technical object. It shows how many notifications and orders are created in a given period of time for this technical object. How many of them are closed, open and in process. This object information window can be configured in SPRO and assigned to equipment category, functional location category or notification type. If you want you can make the settings in such a way that you can either enable the pop up or disable the pop up while entering the technical object. In my various projects many clients asked me not to show the pop up because this will enable the production in charge to see the history of the equipment and production in charge can raise number of questions about that technical object and this will create new problems in maintenance department because maintenance department will have to answers so many questions. On the other side many clients asked to enable this facility because management should know the brief history of technical object. If this pop is disabled then also you can see the history window by clicking on the information button near to the technical object (as shown in the below screen shot). Step 7: Here is the long text of the notification description. Here you can see that there is a Log line and you cannot change the text once entered and saved. This log line can be removed by configuration settings and the text can be made editable. This kind of flexibility is necessary because when technicians work in night shift and a notification falls into their bucket then it could be possible that they enter some wrong (spelling mistakes) or incomplete information. If we make text editable, then we can make corrections. Sometimes Log line can be avoided because many times production in charge can say that I have raised the notification on time but maintenance department responded too late…..Please refer the log line in notification long text. However in reality the maintenance department has responded on time and took action on time in the field, only thing is that they updated the log later on. To avoid such kind of arguments many companies do not want the log line. But if operations in charge put a wrong information in the notification and change itlater on then log line is essential. Every settings has its merits and demerits. Step 8: The next sub-screen contains the catalog codes such as Damage, Cause, object parts. I have written two articles on Catalog code and catalog profile. I request you to refer those articles. 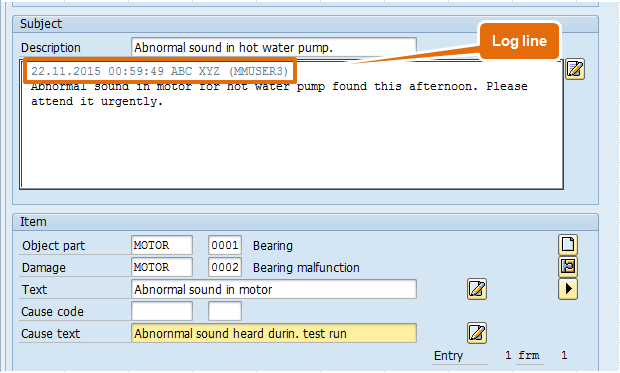 While creating the notification the operation in charge can enter the catalog codes according to the observations in the field. Later on these codes can be changes by the maintenance engineer. Maintenance history is recorded by using these codes before closing the notification. These codes are very important because we have standard SAP report such as IW65/ IW68/IW69. Here you must note that if there is no code available for a certain catalog then you can enter simple text also (as shown in screen shot). Let us move to next Tab that is Reference tab. 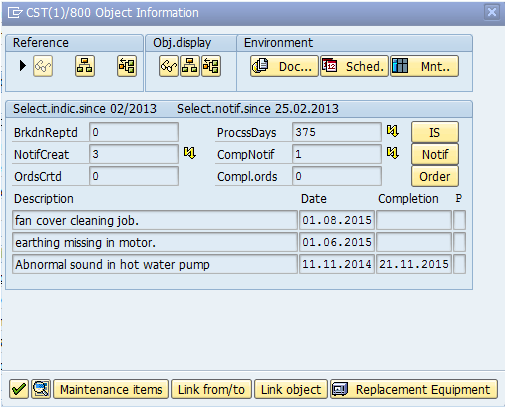 Step 9: Reference tab contains the information about priority of maintenance job. Priority can be Very High, High, Medium, Low. This priority can be configured in SPRO. Priority can be configured in such a way that it decides the required start date and end required end date of notification.For ex: If Priority is “Very High” then required start date can be the notification creation date and required end date can be next day. Next tab is “Malfunction, breakdown” tab. Step 10: In the malfunction tab we can enter the malfunction start date/time and malfunction end date/time. Also we have a breakdown check-box. If there is a breakdown in function of machine then we can set this check box. There is a field to calculate the breakdown duration by subtracting the malfunction start date/time and end date/time. These fields are mainly used in breakdown maintenance process. Here, selection of malfunction start and end date/time are very important. Production department and maintenance department always have conflict over it. Therefore, it is recommended that both departments should sit together and decide these date and time values. These fields must be filled before closing the notification. These field values are used in MTTR and MTBR report. If nothing is working out between production and maintenance department then you can remove this tab and field from notification screen through configuration. Step 11: This tab contains the Maintenance Plant, Location, plant section, ABC indicators etc. It also contains the account assignment data such as cost center, asset number, company code etc. All these fields are explained in Equipment master data article. All these fields are copied from equipment master data automatically. If you want you can change the values here you can change them. Next tab is scheduling overview. Step 12: In Scheduling overview we have three sub screens. First has the field Reported by and notification date. In next sub-screen we have Malfunction start/ end date and time. This is already discussed above. In the last sub-screen we have completion date/ time and reference date/ time. Also Technical Inspection by and Technical Inspection on. Reported by is basically the employee id, created by HR person. As a consultant I would recommend to make this field as mandatory while creating the notification. With this field we can contact the person who has reported the incident. It could be possible every employee in organization does not has the SAP user id. Every department can have one user id, then this field can have the information about the creator of the notification. Maintenance department can contact hat employee about the details for the abnormal conditions in the plant area. Notification date and time is another critical field on notification screen. Most of the time client asked to make this field as grey (not editable). Otherwise it could be possible that a breakdown happens at 10 am and Operations department creates notification for maintenance department at 1:00 pm and changes the notification creation time as 10 am. However, actual notification creation time is not 10 am. This initiates a new argument between maintenance department and operations department. Therefore, this field should have system date and time and grey. So, that no one can edit the date and time values. We can make this filed as grey in configuration. Notification completion date/time, reference date/ time, technical inspection by and technical inspection on are discussed in details in further steps. There fields are filled by maintenance department. Step 13: Once all these entries are maintained operation in charge can save the notification by clicking on SAVE button or press Ctrl S. The system status of notification will be OSNO, which means Outstanding Notification. The notification will acquire a number. This is a system generated number. You can assign a number range to each notification type. Step 14: Afterwards the maintenance engineer will run the report IW28/29. In that report engineer will get the list of all pending notifications. Maintenance guy will click on the pending notification and open the notification to understand the situation. Step 15: Maintenance engineer will put the notification in process by clicking on the green flag the top on application bar. Once this flag is clicked, status of notification is set to NOPR– Notification in Process. Step 16: After taking complete idea of maintenance job maintenance engineer can change the priority of the job (if required). The required start/end date and time will change accordingly (Depends on configuration setting). 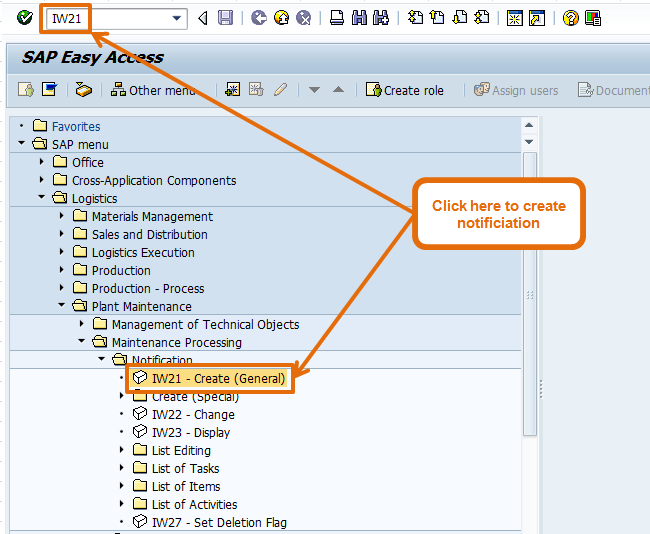 Step 17: Afterwards the maintenance engineer can create task in task tab and assign the task to the technicians in his team. Here maintenance engineer can select the code of task from the given set of task. 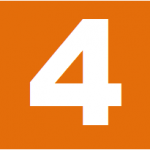 Tasks can be maintained in the catalogs in QS41 t code. 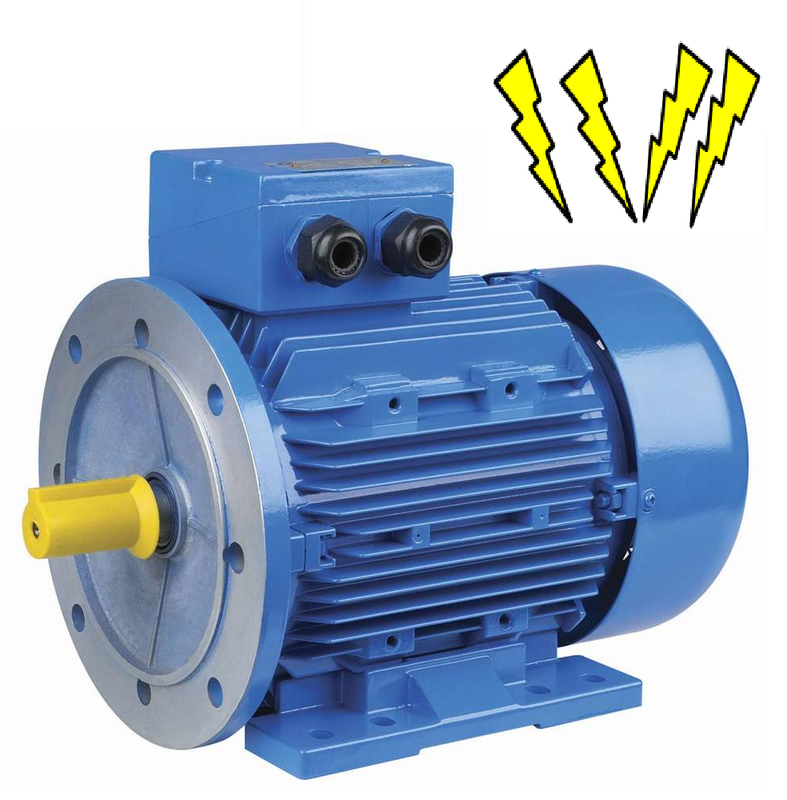 He can also enter the description of task to be performed by the technician such as “Tightening of flange”, “greasing of motor”. Planned start date and time can also be maintained. There is a provision of entering the employee id of technician who is responsible for maintenance job. Once task is created, notification system status will become OSTS – Outstanding task. Step 18: The maintenance technician can see the list of all task assigned into his name in the t code IW66/67. Here he can process the task by clicking on the green flag at the bottom of task tab (as shown in the screen shot). Once task is completed in the plant area the technician can enter the completion date and time. Then technician can close the task by clicking on the black and white flag. If task is not closed then Maintenance engineer cannot close the notification. Step 19: Afterwards the maintenance engineer will coordinate with operations department to check the health of technical object. Operations in charge will take a test run of the machine and accepts the maintenance job. Such kind of business process step can be configured using “User Status” option on notification header screen. Yu can provide a custom status like “Accepted”, “Completed” etc. 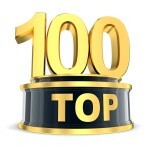 Exclusive Bonus : Click here and get Top 100 SAP Plant Maintenance Interview Questions and Answers. 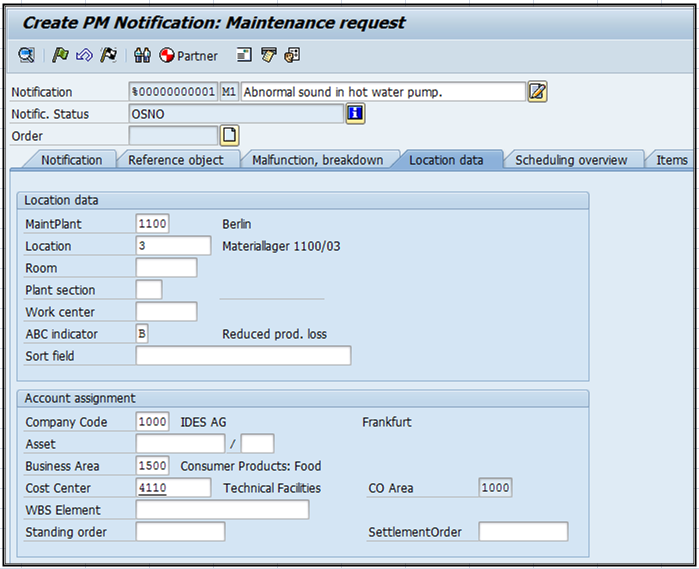 Step 20: Once maintenance job is completed and accepted by operations department, the maintenance engineer will enter important data in the notification. First he will enter data in schedule overview tab. Most of the fields in scheduling overview are already entered on notification tab and malfunction tab. I have already explained Reported by and notification date field in step 9 and malfunction breakdown information step 13. There are few new fields such as completion date and time and reference date and time. Completion date and time contains the date and time when notification is actually closed in system and Reference date and time pops up while closing the notification we can edit this date before closing the notification. Reference date and time is important because it could be possible that maintenance department has completed the maintenance work on 10.08.2015, 4:00 PM, but they closed the notification on 11.08.2015 at 10:00 AM. Reference date and time field gives the freedom to maintenance department to enter the actual date and time when maintenance work was competed in the field and technical object was made available to production department for operation. Maintenance notification are sorted in maintenance history according to this date. There are two more fields in this tab, Technical inspection done by and Technical inspection done on. In the first field you can enter the name of person responsible for technical inspection and second field you can enter the date when inspection carried out. 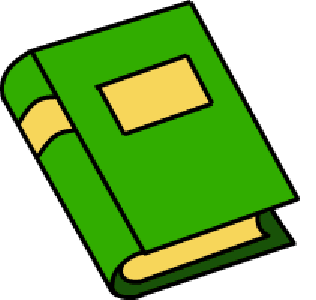 Step 21: Then in the item tab maintenance engineer will enter the maintenance history in the form of catalog codes and long text. Here you can enter the catalog codes such as damage, object part, cause etc. You can get some good reports based on catalog codes like IW68/69. Step 22: He can also enter the maintenance activities performed in activity tab in the form of Catalog codes. Here he can enter the start/ end date/ time of maintenance job. There is a provision of entering long text. You can get some good reports based on activities like IW65. Step 23: Finally the maintenance engineer can close the notification by clicking on the black and white flag (as shown in the screen shot) on the notification header. As soon as you click on the completion flag system will ask you to enter the reference date and time (I have discussed in step 22). 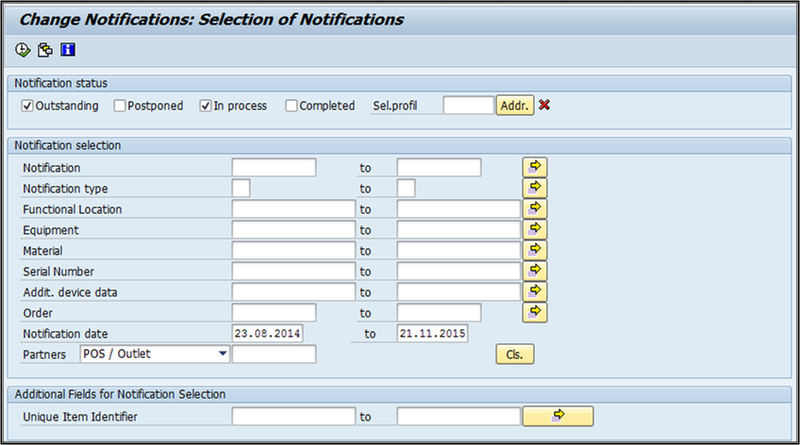 This is all about processing of notification in SAP PM. Please provide your inputs to improve this article. If you liked this article, please share this article with your friends and colleagues. IW65 has the Object Part fields available to select but they are blank, no data is populated. What is needed to populate these fields with the Object Part data entered in the Notification? Can we change the status of the notification from M1 to M2 or vice versa from engg. end post the selection of notification by user dept. (prod.dept) depending upon engg. evaluation. pl. reply. 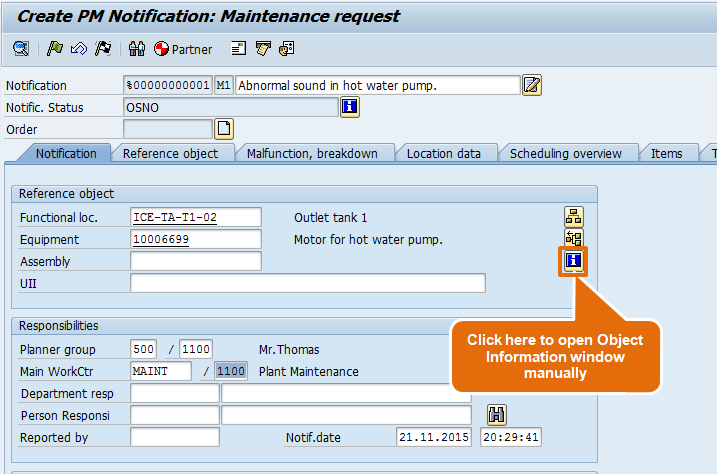 Dear sir , I request you if you could make Beginner’s guide to learn Maintenance order in SAP PM. It would really helpful for learning SAP PM. 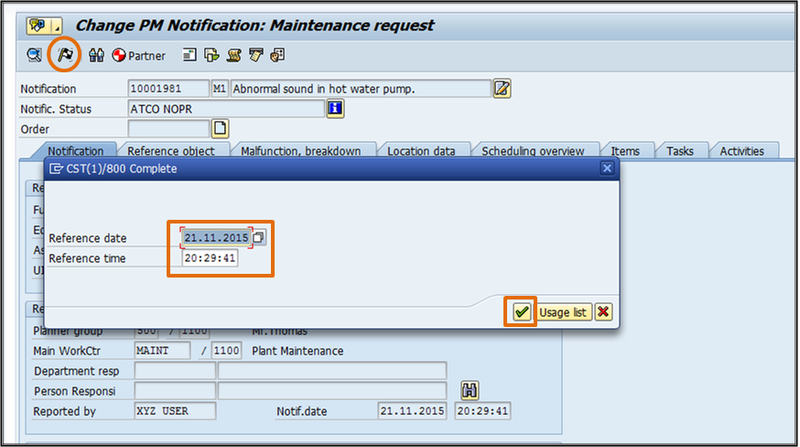 Please upload Preventive maintenance cycle in sap. Your content was very useful and impressed alot. I want to have authorisation control on the completion of notification. The person who is creating the notification is only authorised to close the same. 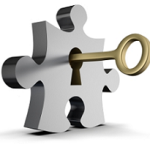 You have to take help from SAP Security Consultant. SAP Security consultant can control it. If you want to make it user specific then you will have to do it using an enhancement (user exit) “QQMA0014”. here you can put a check that the notification created by (ERNAM) and the user id carrying out the completion operation is same or not. Hope this will help you. 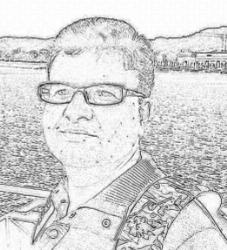 i like this very much and thi information will be useful to me so lot sir..